One of the meanings of 'afw' is the complete removal of something—removing even its traces. When we ask for ‘afw, we are asking God Almighty to completely erase the sin, such that its traces are also removed. This means that our slate is literally wiped clean—there will be no questioning for those sins on the Day of Judgment insha’God. The Prophet ﷺis told that 70,000 of his ummah (global community of Muslim believers) will enter jannah (paradise) without reckoning because “God has pardoned them.” And then the Prophet ﷺasks for more, so with every thousand people of those pardoned, God will pardon 70,000 more. 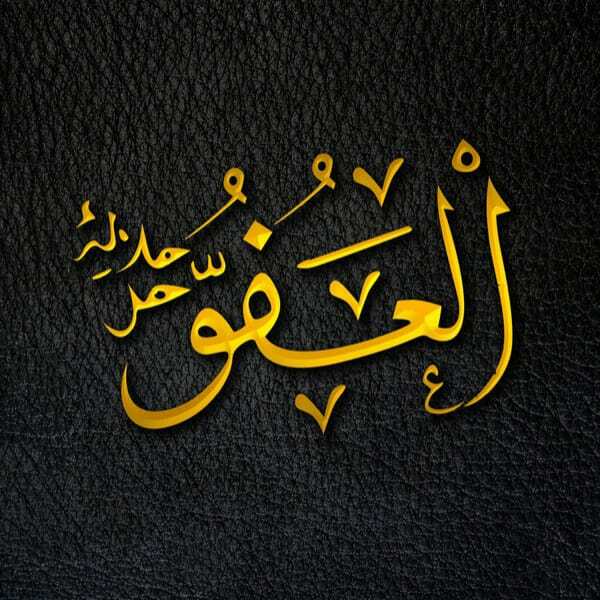 And God is Al-ʿAfū - He name Himself this to let you know that indeed He is the One that completely erases your sin. He knows everything we do, yet He chooses to wipe our slate clean.